The UFORCE BY VOOPOO Tech elevates the standards of what a sub ohm tank should be. Built with superior quality with performance in mind, the UFORCE delivers a triple bottom airflow and can house 3.5ml's of your favorite vape juice. Among some of the unique features is a quick venting channel which allows your tank to "breathe" which is engineered to produce massive amount of vapor without any hot spit back to worry about. Measuring in at 24.6mm in diameter, the UFORCE is visually stunning and is one of the best looking tanks on the market. A sliding top fill design allows for fast refills and a compact chimney dissipates heat at a more efficient rate than other sub tanks. 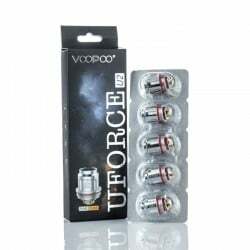 The UFORCE integrates OCC coils and are available in either a U4 0.2ohm version rated up to 120watts and a U2 0.4 Dual Coil rated up to 80 watts.The VooPoo UFORCE delivers a superior vaping experience time and time again, be sure to buy yours today! This is my 2nd uforce tank, and i bought it to replace the one that my 2 year old threw/broke. 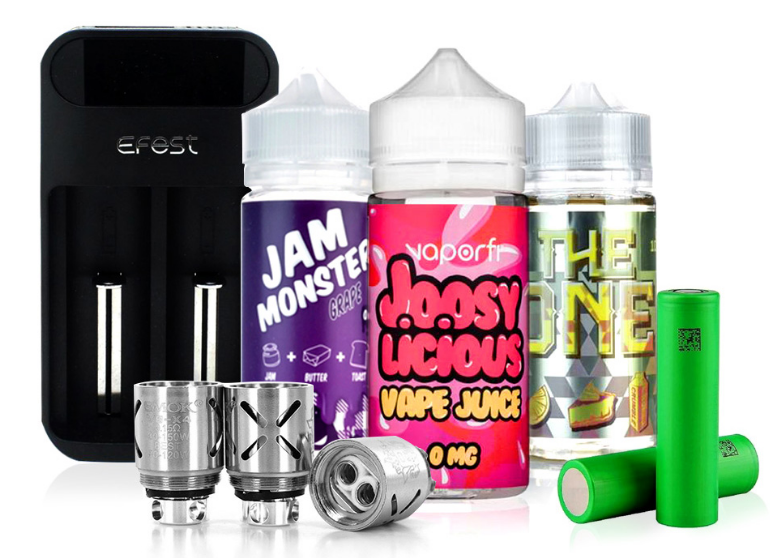 I'm not a novice vaper, but i dont have much experience with box mods. This tank has been good to me. Doesn't leak, atomizer doesnt get super hot after continuous use. Cleaning os a breeze. Definitely recommend for those who want something simple, that holds decent amount of juice, this is the one! The coils that came with it originally are decent, but if you put the fireluke mesh coils in it (NOT the freemax mesh OR the mesh pro) it is among the best flavor in the industry. This is an awesome tank I love it so much and it quickly became my favorite. However I will warn the top where you fill it slides WAY too easy. I’ve had it two weeks and twice now it’s slid open and spilled out. I have it on the voopoo drag and I’m so worried it’s going to ruin it. No matter how careful I am with it in my bag or anywhere else when I’m unable to use it it often slides right open. So just be warned of that. Other than that is awesome! I love this tank, I got it with my Voopoo Too and it is awesome. I usually use the Valyrian as my goto tank but since I tried the divorce it isn't an easy decision. Overall the valyrian inches ahead but this tank is no slouch. Amazing flavor and we'll built. You won't be disappointed with this tank guaranteed.